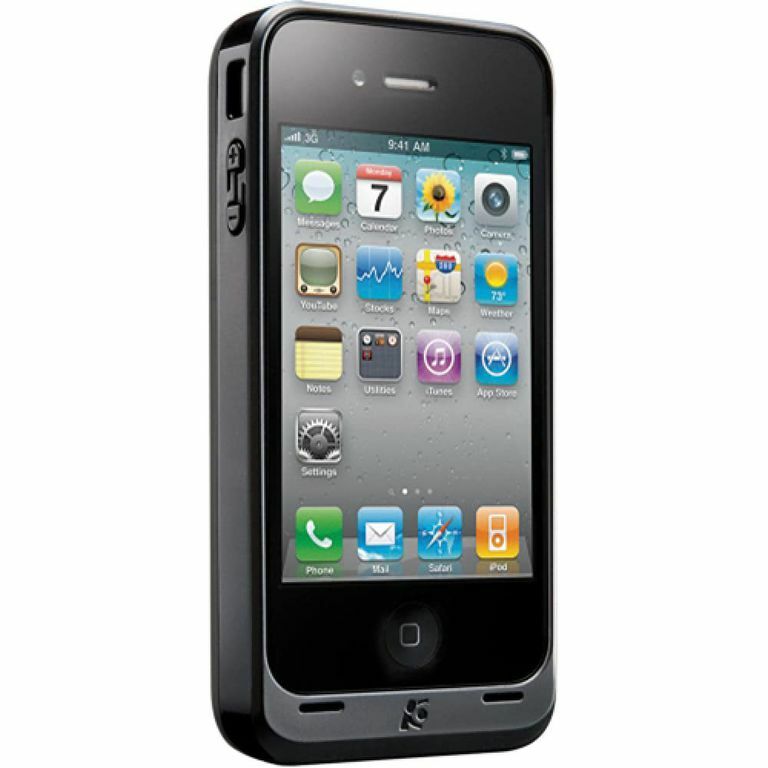 The Kensington PowerGuard is a solid choice for a combination iPhone 4 case and extended life battery. While it doesn't offer as much power as some of its competitors, and has some frustrations as a case, its affordable price makes it an accessory users may want to consider. Users of the iPhone 4 who are on the go a lot may not have the chance to recharge their battery, which can often leave them without a working phone. The Kensington PowerGuard addresses this problem by providing an iPhone case that doubles as an extended life battery pack. The PowerGuard's core feature—providing extra juice for the iPhone 4—is solid. Once the case has been charged via a USB port, you place the iPhone inside by removing a faceplate and then snapping it back into place. But this doesn't necessarily start the iPhone's battery charging. A switch on the side of the case allows the user to control when the PowerGuard charges the iPhone's battery, allowing you to charge the phone only when the battery has run down and needs it, rather than constantly draining the PowerGuard. In my testing, the PowerGuard delivered roughly 50% extra battery life to the iPhone 4 (how many hours of use this translates to will depend on how you use your iPhone and what options you have turned on). In one test, it delivered a charge equal to 52% of the battery's capacity and 50% in another. To deliver this additional battery life, the PowerGuard has to make some compromises as a case. For instance, it adds 0.79 inches to the thickness of the iPhone, making the normally sleek phone feel blocky and harder to easily slip into a pants pocket. It also weighs 2.47 ounces, adding nearly 50% to the phone's weight. Getting the iPhone in and out of the PowerGuard is tricky, too. The faceplate that secures the phone in the case snaps off, but it's tough to remove—especially when the phone is in the case. The required force made me worried that I'd break the faceplate. Even though I didn't, I don't like cases to be such a challenge. The Kensington PowerGuard has some drawbacks, but it's also among the more affordable iPhone extended life battery packs on the market. If you're price conscious but still need the extra juice, the PowerGuard may be for you. Need to Squeeze More Life Out of Your iPhone's Battery? Try This.